Should you book your shore excursions independently of your cruise line—and save a few bucks—or is it better to take those tours offered through your ship? There’s no easy answer to the question we posed above. It all depends—not just on circumstances but also on the ports-of-call and the travelers’ own penchant (or lack thereof) for independent travel. And no question, for the most part cruise lines do charge more than non-cruise-related operators for just about the same tour. Sure, shore excursions are profit centers for the cruise lines; consider the extra you pay to serve as insurance. Cruise lines hold tour operators responsible for quality control as well as make sure that all necessities—liability insurance, registration and other areas of compliance—are complete. And while many of cruising’s shore tours remain way too dependent on motorcoach tours that sweep through an area with little chance of personalization, numerous lines are creating more creative and unique experiences, ranging from zip-line rides through a Hawaiian rainforest to private after-hours tours at St. Petersburg’s Hermitage. You’re a first-time cruiser. Visiting a port-of-call on a one-day visit to a foreign place is a whole lot different than spending a week at a resort. You’ve got a real deadline—that ship very well may not wait if you get lost and are a few minutes late. And meeting up with the ship in the next port is on your dime. The port is particularly exotic. On my first cruise to the Middle East, a place as foreign in culture and language as anywhere I’d ever been, the comfort of the tours arranged by the cruise line was indisputable, especially in challenging places such as Yemen’s Aden and Oman’s Salalah. I’d also be first in line to book cruise line shore excursions in smaller, more offbeat ports on Asian itineraries, in South Africa, in certain stops along South American routes, particularly in the Amazon, and in Russia’s St. Petersburg. The port is a long ride from the main attraction. This applies particularly in Europe, where some of the most important destinations—i.e. Paris, Rome, Florence, Berlin and London—are miles and miles (and 1.5 to 3 hours away) from where the ship actually docks. In many cases, ships will arrange two types of outing. One is for independent-minded folks who want the ease of being transported—and then want to venture out on their own. Their only deadline is meeting the bus (or train) for the return journey in this traffic-congested part of the world. Or, you can opt for city tours of the motor coach variety. Similarly, in some parts of the world nature experiences can require quite a journey. Cruise Critic’s Melissa Baldwin, traveling aboard Regal Princess on a round-the-horn cruise of South America, embarked on the ship’s Penguin Reserve at Punta Tombo tour while at Puerto Madryn. The trip, which lasted nine hours, featured a 2.5-hour drive—each way—to the penguin reserve. You want to experience a broad swath of a region. Baldwin, on the same South America cruise, also booked a ship-sponsored excursion for the call at Puerto Montt. The eight-hour trip, including lunch, featured stops at three quite different locales—Osorno Volcano, Petrohue River and Puerto Varas—and would have been hard to replicate on her own. The cruise line specializes in a particular area. In some cases, cruise lines really go to a lot of effort to offer special shore excursions and tour opportunities. Want to learn to scuba dive in Costa Rica? Cruise Critic’s Steve Faber tells us that “with onboard PADI instructors, Windstar‘s dive program is second to none, offering not only ship-conducted dive trips, but also 11 different certifications and specialties, everything from Discover Scuba to Advanced.” (In other destinations, Windstar offers dive trips through its shore excursion program.) 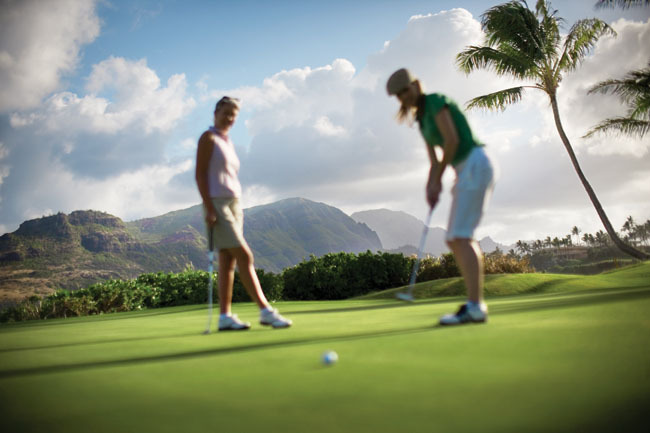 Norwegian Cruise Line’s Pride of America, which is exclusively devoted to Hawaii, not only offers an onboard pro and cruising’s only dedicated golf shops but ties them both together with chances to play at top courses on each island. It’s a high-risk trip. When taking a tour that involves traveling on helicopters, planes, parasails and even boats, the extra protection provided by the cruise line is really key. A popular tour on some South American cruises, for instance, is a day-long visit to Antarctica via airplane where weather might be a factor in getting you back to the ship on time. It’s also even more important that such operators are properly vetted for safety issues. Urban ports-of-call that are close to cruise terminals. Whether you’re visiting Boston or Barcelona, these cities are so conveniently situated to cruise terminals that it couldn’t be easier to get around via a short walk or taxi ride (one tip, too, is to research “hop on, hop off” bus options for sightseeing—they’re a great way to get around and get your bearings). Other easy urban ports are Helsinki, Stockholm, Copenhagen, Nice, Cannes, Venice, Dubrovnik, Buenos Aires, Sydney, Auckland, Quebec City, Montreal, Honolulu, San Francisco, Seattle, Vancouver, Tampa, New Orleans and Philadelphia to name just a few. Simple beach breaks. While cruise lines often offer beach “tours,” particularly in Caribbean ports, when visiting very well-known beach destinations it really is more cost effective—and more freeing, frankly—to simply hop into a safari bus for the ride to the beach. I wouldn’t hesitate to do so at St. Thomas’ Magen’s Bay, Virgin Gorda’s The Rocks, Grenada’s Grande Anse, St. Lucia’s Rodney Bay, and Grand Cayman’s Seven Mile Beach. They offer major services (including eateries) and cab drivers flock there so you’ll be assured a ride back to the ship. Where you need to be a bit more careful is with off-the-track beaches (I love any of the beaches in St. John, particularly the little-known Salt Pond, but would not want to count on taxi pick-up). Shopping tours. Do a little homework before you leave home to map out the types of shops that interest you, and their locales … and then just go. Note: Cruise ship staffers can be a great source of tips, so don’t hesitate to ask. One of my favorite finds came from a Celebrity Cruises‘ social hostess: a fabulous formal dress boutique in Antigua (alas, it’s now closed); our own contributor Joyce Gleeson-Adamidis, a longtime onboard staffer, steered Baldwin to a fabulous custom leather and sweater shop in Buenos Aires. Snorkeling, sailing and scuba. As long as you check out operators—start with tourist boards and dive clubs, and go from there—snorkeling, sailing and scuba diving expeditions in major watersports ports such as St. Thomas or Grand Cayman are good bets (the operators are often the same ones that serve cruise lines). History and culture tours via private guides. I’ve cruised twice to Russia’s St. Petersburg. The first time I was one of 100 people on a city tour. The second? Through Red October, a tour agency, we arranged for a private guide and driver. The difference was immeasurable. We saw so much more with the latter, the experience was superb and we never were rushed. Plus we made a connection with our guide and driver that we’ll always remember. So in places that are particularly significant in an historic or cultural sense, a private guide can make the experience. Other places I’d recommend for this approach include Turkey’s Ephesus and Italy’s Venice. This approach, however, requires you to do serious homework; visit Cruise Critic’s destination forums for recommendations of which ports are best suited to independent touring, and make sure guides are properly accredited. In some cases (and mostly on luxury lines) cruise lines will provide concierge services onboard that can book a guide for you—Regent Seven Seas Cruises, for instance, has a designated travel concierge—and you can assume these folks are properly trained, licensed and certified. Editor’s Note: This story was originally published on Cruise Critic. SmarterTravel.com is published by Smarter Travel Media LLC, which also owns Cruise Critic.